Welcome to our Swimming Pool Blog. 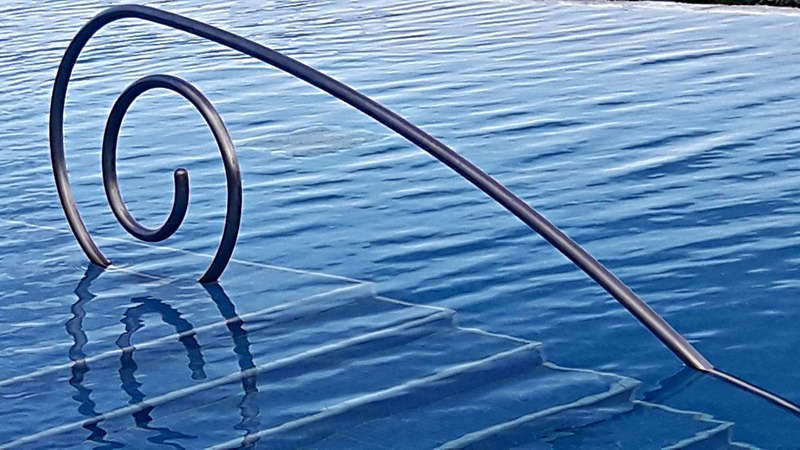 Here you will receive up to-date profissional pool care tips, on how to go about maintaining good water quality in your swimming pools and spas. By subscribing to our blog, you will be able to manage and operate your pool or spa as a certified pool operator. Swimming pool care involves above ground pool types and inground pool finishes. Basic pool care consists of pool safety guidelines that every swimming pool must follow regardless of the pool type. Continue reading "Best Swimming Pool Care – 100% DIY Pool Care Basics"
Continue reading "Stabilized Chlorine Sanitizers - Swimming Pool Sanitation Chemicals"
Continue reading "Swimming Pool Water Problems - Pool and Spa Water Problem"
Continue reading "Swimming Pool Pumps – Pool Pumps and Filters "
Continue reading "Cloudy Water in Pool – Cloudy Pool Water After Shocking"
Continue reading "Swimming Pool Safety - Water safety tips for swimming pools and spas." Continue reading "Pool Filter Pumps | Filter Pumps for Swimming Pools"
Continue reading "Waterborne illnesses - Pool Illnesses That Are Waterborne"
Continue reading "Unstabilized Chlorine Sanitizers..Pool Chlorine Sanitizers..Pool Water Chemistry"
Continue reading "Pool Algae Problems - Problems With Algae in Swimming Pools"